I thought I would put together a nice list regarding the best ways to increase your blog traffic. To survive in the blogosphere I would suggest practicing some of these techniques or suggestions. I’m not perfect and FYI no one is so do your best and things will work out. Try to remain active with your writing and at the same time maintain the quality of your work. Don’t ever sacrifice your content for quantity of writing. You could write 3 or 4 times a day and it the quality is poor your readers will never return. When your readers leave comments do your best to engage their question or statement. Make sure you leave open ended questions and try to encourage interaction between you and the readers. Try to make some effort to understanding the topic you’re writing about! Don’t be writing about topics or subjects you know little or nothing about! Don’t assume anything when writing your articles! This could make you a big failure and this isn’t what we want to see. So take some time to Google and research your article topics and subjects. Make sure your target market is interested in what you’re writing. Don’t be posting about unrelated content make sure you stay on topic and focus on satisfying the needs of your readers. Have you considered guest blogging on another blog? This could be a great way to gather new readers! Well all know this is hard to do but guest blogging can help you build brand awareness and gain new readers. Be careful when you guest blog and make sure your content is of amazing quality, well researched and full new and informative information. 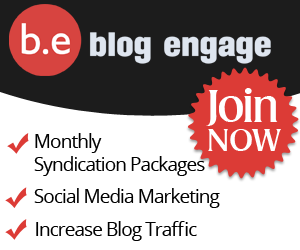 Get noticed and start joining social networking websites that can benefit your blog. Places like digg.com, blogengage.com, Stumbleupon.com, and more can increase your blog traffic and overall comments. Don’t be shy! Start signing up in the large Webmaster Forums. Use this method to market your blog to gain more readers! People that hang in forums enjoy reading and blogs are on the top of the list! Request Blog reviews and become an active member. I know this is time consuming but FYI I get the majority of my traffic currently from Webmaster Forums. Add plug-ins to your blog that will encourage comments. Add the Top commenter’s plug-in, commentluv and similar plug-ins that encourage active readers and commenter’s to place comments on your blog. Comments can bring in a lot of traffic so try your best to encourage the readers to comment. Ensure your template is easy to use and navigate. Readers and other visitors don’t like messy blogs. Keep things tidy, neat and make sure the visit is pleasurable! Don’t have annoying pop ups or anything like that. If you must, place a nice add in the said bar like I do and leave it at that! Start trading links with bloggers that have traffic related to your target market. This could potentially be a major form of targeted traffic to your blog! Link to other blogs your readers might find interesting as well. Don’t worry they will visit you again you’re not going to lose readers. Start using targeted tags for your articles! This comes in handy if using website search engines such as Technorati. This also helps readers find similar topic they might be interested! Browsing your blog counts as traffic to be specific and very targeted when using these tags! Don’t forget to SEO your blog titles and Meta Tags, SEO is a great form of traffic and if done correctly can generate you a massive amount of visitors. Try to be very specific with your topic title and Meta tags so your traffic is in fact looking for articles that relate to their search! Targeted keywords will help you keep the bounce rate down and allow for better indexing with Google! Try and find unique and cool images that apply to your articles. Don’t go overboard with image but if you have something to show the reader make sure it’s a good image and not some random Google image search image. Don’t add images to fill a lack of information… ensure it’s relative to the article at hand. Ensure you tag your images! Many bloggers are getting an extreme amount of traffic to their blog from Google Image Search. When you upload your images to the article tag it and apply a description. Write posts that can be read in a year or right now and have the same meaning! I know at times this concept can’t be followed but if and when you can ensure your blog article have the timeless affect! When you get ideas from other blogs make sure to link back! This build traffic from that blogger in specific and you normally get a nice trackback for doing so. Some bloggers don’t allow trackbacks but the majority of us do so link to the people that influence your article ideas. Encourage your readers to subscribe to the RSS feeds. Allowing your members to keep updated on all your new posts will help increase your blog traffic! Don’t under estimate the power of RSS feeds and from what I read over at Yan’s blog is RSS feeds are literally one of the most important resources for your blog. I haven’t had the opportunity to develop many RSS subscribers but I’m still early in my blog career so well see what the future brings! Start unique and affordable contest. Don’t go bankrupt in order to wow people with your contest. Look for other bloggers that are willing to provide prizes for advertisements! I know some bloggers that have extremely high traffic blogs and all they ever do is contests! People like to win free stuff it’s a no brainer! Do you have any others ideas on how we can generate more traffic to our blogs? Don’t be shy post your ideas here in the comments! Who knows if I get enough I could post your idea in a similar future topic linking toy our blog! Take care and thanks for reading my ideas! I totally agree with you that no body is perfect and therefore no blog is perfect. There is always a way to enhance your blog and increase your traffic. The most important thing is to do testing to find out what method works for you. Hi Qasim thanks for visiting the blog, I haven’t posted in a while and to be honest I have to blame Blog Engage. It’s very time consuming but I do plan on spending more time here moving forward! I never had a real chance to get into blogging as I went right to social media marketing. Finding out what method works best for us is very important! I like to think on many levels the majority of these tips will work for us all. Thanks for your quick reply, don’t worry. I know how much you are dedicated to BlogEngage and it needs a massive efforts to build a successful community like that alone. I wish you all the luck here on this blog and on Blog Engage. Looks like I have to get started with Guest blogging ASAP, I have been ignoring this, since a while now, I should probably get started with it. Thanks for opening up my eyes. Hi devinder, yup guest blogging is a great way to drive traffic back to our blogs, make sure to engage with the readers to ensure they have a chance to follow you back. Thanks for the post. I like to use guest posts and social media for attracting traffic to my blogs and have found those approaches to work well over the years (although the special social networks change over time or vary from one industry to another). Hi Marc, thanks for visiting the site. Guest blogging is a good traditional, efficient way of meeting new people and funneling traffic to our blogs. With that said it’s also pretty time consuming unless you pay for the content and post under your name. When done right it can work wonders, I have done several guest posts on Basic Blog Tips with great results as well as HotBlogTips. You’re right, guest blogging is a time consuming approach. My reasoning for doing it is that it’s a great way to network with other bloggers and also to slowly build your name recognition and to develop a solid reputation in your niche. For me it is more about the long-term benefits than it is for quickly getting traffic. I do agree with you. It is very essential to understand the need of the target market. Social networking sites are main source of traffic so it is extremely important to share valuable content on social sites. Hi Sarmista, yup understanding your readers is very important. We can’t be blogging about Weather or Antiques if our reader base are all hockey players lol. Thanks for visiting and the comment. You have shared every point to generate traffic. These are things which everybody should do. You have described them well.Keep sharing. Hi Vibhuti, thanks so much for the comment and for reading my blog post. I hope something on my list is new and helps you gain more experience from participating the idea. This is the first time i am visiting your blog, and i must say there are lots of post which learn worthy. And this post of your is too good. I was familiar with some of the techniques but not all. And even i never used tags for images but from now onward i will. Cool guide. Being active on social media can help to drive massive traffic.